Decisions, decisions. How do you decide between a Lexus LFA sports coupe, a Mercedes ML SUV, and a Hyundai sedan? With enthusiasm. 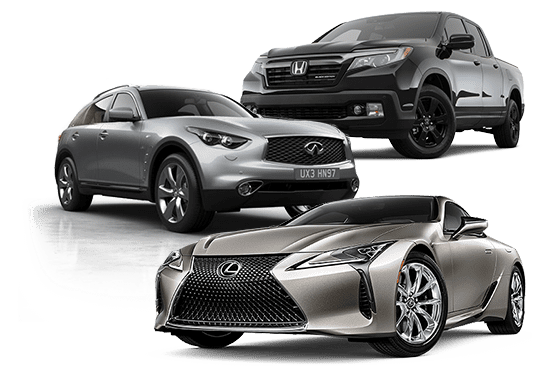 Shopping for a new car should be one of the most exciting purchase decisions you’ll make, so we’ve set up a website to make finding the next car, truck, or SUV for your garage as simple and enjoyable as possible. Please take a moment to search from our inventory of over 700 new and used vehicles from seven different brands at six different dealership locations. At Sentes Automotive, our priority is to ensure that you find the vehicle that best suits your lifestyle. We look forward to providing you with a transparent and enjoyable purchasing experience both on-line and in-store. Thank you for visiting Sentes Automotive and enjoy browsing the Okanagan’s largest vehicle inventory. Giving exceptional customer services isn’t just our priority, it’s our entire business model. Count on the best in friendly, trustworthy, and informed service. With 7 leading automakers and luxury brands in our stables, along with thousands of pre-owned models, we definitely have the right car for you. If you rely on auto financing to get the vehicle you need, we make sure that you don’t need to wait around for days. Get quick credit approvals!